DMEM/F-12 (Dulbecco's Modified Eagle Medium/Nutrient Mixture F-12) is a widely used basal medium for supporting the growth of many different mammalian cells. Cells successfully cultured in DMEM/F-12 include MDCK, glial cells, fibroblasts, human endothelial cells, and rat fibroblasts. 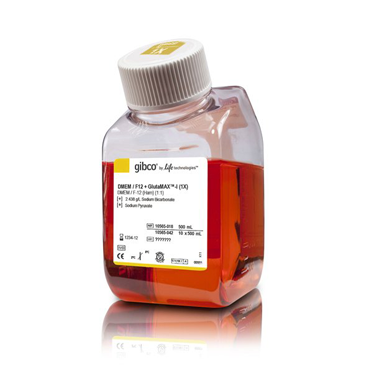 We offer a variety of DMEM/F-12 modifications for a range of cell culture applications.